A new year bring new and exciting things to Laurafallulah. Firstly new items in the shop, I always love this part of my job. Its so nice to have fresh new designs in there along side the best sellers. These bright yellow daisy earrings are so pretty, a great pop of colour to brighten up this dreary time of year. When I saw these rose cameos I knew they would be perfect with the rest of my work. Such beautiful detail and a great modern take of the classic cameo. I have put one of these pink and mint ones aside for me, also in blue and white which looks very Wedgewood. And these new cameo rose brooches are my take on this style. I love the ripply outer which frames the 3D rose and little leaves. Comes in this classic red and grey colourway and a more modern pink and grey too. Secondly the new year bring two exciting new stockist for Laurafallulah. Most excitingly is that they are both new ventures, I love that people are setting up their own businesses in this economy it is very encouraging. 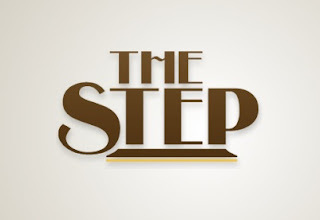 Firstly a multifaceted venue called The Step. As soon as I read their email about their concept for The Step I knew it was somewhere I would love to sell my wares. A cafe/bar/shop based in Bowes Park, North London, promoting local food, drink and showing off the best of handmade design, perfect! Plus the stunning Art Deco branding is really up my street, I do love a bit of old fashioned Hollywood style glamour. The Step is due to open at the end of this month so keep an eye out on their facebook page and follow them on twitter, you can also see their process of gutting out their building to create The Step from scratch. 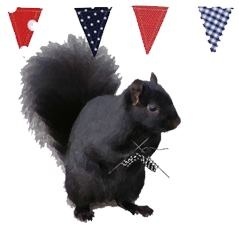 Secondly this cheeky little fella represents Craft Guerrilla, a retail and craft workshop space set up by the lovely ladies at the East London Craft Guerrilla collective. Based in the Wood Street indoor market in Walthamstow, East London so pop over for a bit of stitching and shopping. They have a great range of handmade items from UK designers and crafters. Check out their facebook page for more info as well as keeping up to date with events and the comings and goings. These ladies have been running markets and crafting events for a long time and the shop is an great addition to their repertoire, I am in no doubt that it will be fantastic.